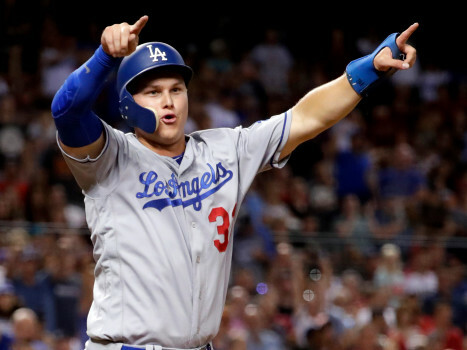 The latest Dodgers news this week has the club rumored to be discussing trades involving lefty swinging outfielder Joc Pederson. Apparently they’ve had talks with the White Sox, and the Braves might be interested as well. According to reports the Dodgers are trying to sign right handed hitting outfielder A.J. Pollock, since the roster is too left handed. I like the idea of some balance and I like the idea of signing Pollock, but I have a question. Why do they have to trade Joc to sign Pollock? Why not just add Pollock and keep Joc on the roster? It doesn’t make sense to me to move a solid regular like Pederson. Especially when the Dodgers don’t have a lone starter for most of their positions. They just platoon everyone around the diamond anyways. So that means they have two players that can play for each position. Pollock’s history of injuries scares me a little too. While Joc is getting only half the plate appearances he was when he first broke into the National League, he’s still a productive regular. Joc blasted 25 home runs, posted a 125 OPS+ and posted an .843 OPS in 2018. He’s also just 26-years old and he stays healthy most of the time. Pollock is a 31-year old outfielder who’s been chronically injured over the last three years. You would assume if the Dodgers acquired Pollock that they would have him play the lion’s share of center field with Cody Bellinger possibly shifting back to first base and Max Muncy moving to second. But Muncy is not much of a defensive player, so maybe you put Bellinger in right, Keep Muncy at first and put Alex Verdugo in left. Chris Taylor can play second base in that scenario. However you want to configure the Dodgers defensively is fine, but there’s no need to move Pederson just to sign Pollock. The Dodgers even have an open spot on the 40-man roster. They currently have 39 players on their 40-man roster. If you want to add Pollock, I’m good with that. I’ve written before about Pollock and despite his injury problems I still like him. He’s a good player with a strong combination of speed, power, and defense. What I don’t like is making us believe that you have to trade Joc Pederson in order to sign Pollack. Don’t move Joc. I don’t think anyone has any idea of what this management group and ownership has up its sleeve. I do know one thing and that is that the Dodgers will get their payroll as low as possible and I don’t think that this has to include any more winning. They have won 6 straight divisional titles and have been to the WS twice in a row. How do we know that they won’t pack it in for this year? Why not save some money, the fans will understand. All this BS they talk about never happens and they can manufacture excuses and the faithful will go right along like sheep. Trade Joc, why not? He is not that good. This whole off season has been one big mess of just rumors and talk and that is basically it. 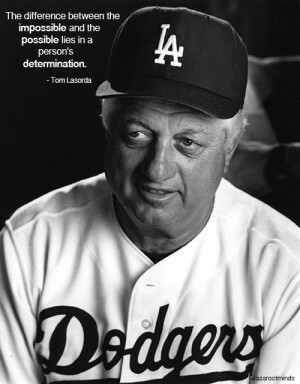 But I have said this before and worth repeating as far as Freidman and Dodgers go…. and others just have excuses!!!!!!!!!!!! Your post is ridiculous. This front office has gotten the Dodgers to the World Series two year IN A ROW after not having been within sniffing distance for TWENTY-EIGHT years. They know what they’re doing whether any of us agree or not. Well actually the previous front office won four division titles and had three NLCS appearances within 8 years. They came very close to the World Series three times, 2008, 2009 and 2013. Bring back the excitement please. This team is about as exciting as watching a casket warp. They traded the most exciting player they have had for basically nothing, and have done nothing to improve since. Russell Martin? OMG we are so stoked! NOT. They released Homer Bailey 2 hours after the trade was finalized. What ever the reasons, the fans still trod through the gates laying down their hard earned money, more and more of it every year to watch another bridesmaid season. Mannywood, that was fun, Tommy cussing out umpires, that was must see TV, Puig throwing guys out with his back to the wall, amazing. Bakersfield and 4 guys hitting 30 HR’s, which has happened twice. 2 ace’s in the rotation, which has not happened since Greinke left. 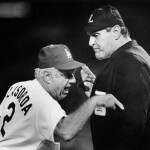 Dodger pitching dominating the World Series, which as we all know has not happened since 88. This team does not inspire confidence nor anticipation as the 40 man roster stands as of today. Now, maybe Ol Andy does some stuff between now and April, and maybe he stands pat. What ever he does, we can all expect it to be totally underwhelming. Scott, i realize it’s now a different era for baseball now but how about the FO that was in place during the 1959 through the 1965 seasons. All they did was WIN 3 WS in a 7 year period! Then another NL Pennant in 1966. Point of order there sir. The core of the team came from Colletti, not Friedman. Logan White should get a lion’s share of the credit because it was his scouting department that drafted Seager, Bellinger, and yep, Kershaw. So other than his trades that tweaked those rosters, he already had some damn good players in place. Getting there is ok, but winning is the ultimate goal. Friedman has never signed a premium free agent. That’s the way he works. He has never signed a free agent from another team for more than 3 years. He signed his own for 4 and 5, Turner and Jansen. He has also never signed a free agent to a 9 figure deal, aka over 100 million. He has dumpster dived from day 1, and granted he found a few gems. Muncy and Morrow. The trade for Taylor was a straight one failure for another deal until Taylor re-invented himself in 2017 and discovered he could hit balls out of the park. He regressed some last year, but he did lead the league in strikeouts! You can give Friedman deity status if you so desire, but to a lot of Dodger fans, especially those of us who are getting along in years, his act is getting old. There used to be stars in LA. There are none anymore. Kershaw’s star is fading fast, Seager and Belli and Buehler may become those stars. Turner is merely a very good guy and ballplayer. LA likes stars. That’s why the Lakers went after LeBron. The Rams have stars too, and even the Chargers. But the Dodgers putt putt along with what they have. Not saying that making the BIG SPLASH is the right thing. But it was what the fans wanted, which to this ownership, means nothing. SPOT ON! Michael, I couldn’t agree with you more. And basically was saying something sort of similar in a way to Dan in Pasadena. If you are referring to my post, then you are a bit off base here because I cannot imagine anyone connected to this team is satisfied with LOSING 2 straight WS IN THEIR OWN HOME PARK!. You also might want to check with others on whether they (FO & Roberts) feel they really know what they are doing when all is said and done. Knowing what they are doing? How did this excessive platooning work out in this past WS? One thing I think that needs to be said is in regards to Clayton Kershaw’s new contract. I have read many comments on several sites that keep referring to the new contract as an 3 year extension. It is not. Had Kershaw decided to not opt out of his old contract, he would have had a two year 67mil contract left to fufill. He signed a new contract for 3 years 93 mil. By my calculations that is an additional 26 million for ONE YEAR. I do not think he got over on anybody. Agreed, he is not playing as well as he has in past years but let’s not play games, the Dodgers did not go overboard on new money. Nobody said, nor implied, that the Dodgers need to move Pederson. If they did, I must have missed it. I did not say that anyone had said or implied that Joc NEEDs to be traded. Their have been multiple reports on the White Sox and Braves having an interest in Joc. Wasn’t responding to you package, but the article. I have seen those reports, thanks! I thought I read somewhere that Friedman was seriously thinking of nixing the excessive use of platooning. Either he has lied, or reneged on his promises…. sounds like something we hear on the news everyday. I, personally do not like platooning. I would much rather prefer a solid six or seven every day starters, focusing on a solid, cohesive infield, everyday CF’er and captain of the outfield, and a solid defensive catcher who can take command the defense, and earn the respect of the pitching staff. The Dodger FO seems to be so focused on platooning and stacking the lefty lineup that they lose out on getting quality players. No prime free agent in their rightmind will come to LA, and fall victim to sitting on the bench for half the season. These are premier players who want to, and have earned the right to play every day. Also, why pay someone $15M to a part time player? Bottom line, stop platooning, and let the starting lineup gel into a solid cohesive, error-free, run producing unit. Strong defense, great hitting, and fewer injuries are a product of repetition. Develop a strong bench of situational role players, for late inning heroics. Let the starters, as well as the roll players take ownership of their purpose and responsibilities to the team. Call me “old school”, but I think it works, and makes sense. Bluefan4Life, I believe you can guess how I feel about this ludicrous obsessive compulsive platooning! Concur totally with you on that. Thank God, the Rams didn’t hire Friedman or Roberts. Just compare the two organizations, one goes out and gets players and puts them in position to excel, the other not so much. You pretty got that correct for sure. Read my last 2 part sentence I posted to package206 and that tells ya the bottom line here. Hearing rumblings that Major League Baseball has found that the Los Angeles Dodgers are in violation of rules involving the international free agency market. There is word they will get penalized similar to what the Atlanta Braves received a year ago. They made an illegal signing of Ralph The Wonder Spoog, too. There are rumors everywhere. There was even a false post on twitter yesterday by some guy using Rosenthal’s name saying Joc had been traded to the White Sox. It was not true, and pretty much made no sense anyway since that would leave them with 3 outfielders on the roster. They do not need to trade Joc, but they are kicking the tires on a lot of things it seems. Marte of the Pirates, Harrison and Gonzalez, who are free agents. I think they should take a flyer on Grossman, he is a free agent OF who played for the Twins last year. He would not cost much and he had pretty good numbers against southpaws. Roberts said yesterday that the Dodgers need a PROVEN Rh hitter. DUH! Thanks Dave for that brilliant insight. Gee, didn’t Puig and Kemp hit from the right side….??? And Kemp had some decent numbers vis a vis lefty’s. The one deal that did go down yesterday was Sonny Gray to the Reds for a minor leaguer and a draft slot. Reds immediately signed Gray to a 4 year deal. Reds 3rd major trade this off season, and their 3rd starting pitcher they have acquired. The D-Backs also officially signed Wilmer Flores. And another day closer to spring training, the Dodgers accomplish bupkis. “He still is upset by the Burrell contract,” says one Dodger official. I just read that article and everything in it is right on point to be sure! Newest rumor has them back in on Realmuto with Ruiz as the main piece. I would trade Smith maybe, but not Ruiz. Dodgers sign OF Blake Gailen to a minor league deal. 33 years old played last year with the Lancaster Barnstormers. Not to be confused with the A Lancaster Jet Hawks. Hit .282 with 28 HR’s and 91 ribbies. Markakis back to the ATL. Cabrera signs with Texas to replace Beltre at 3rd. The team is relatively stacked at catcher with Wong and Cartaya also in the system. Well, looks like Dodger Stadium has offically transitioned into the MLB Chavez Ravine Retirement Home and Rehabilitation Center, sponsored by Cedars Sinai/Kerlan-Jobe… they picked up another lame duck “Dodger Blewlight Special”. They might as well install a revolving door for the clubhouse. Also heard there are job openings for caregivers. Rumors of giving up on Diaz and dumping others to get Realmuto…. would be another moronic roster decision by Friedman. Realmuto will be gone in a couple years, so just a very expensive band-aid, and he might even turn out to be a flop, like the Smirk…. What? Dodgers are still “IN” on Machado? That’s a laugher. Management don’t care, as long as the Fans keep showing up in record numbers to spend their hard earned dollars. LOL, but yeah your first paragraph here is actually right on. Hey, Pantone 294… Are you ready to change your name to Pantone 282/873? Waiting for my Throwback Blue and Yellow Gurley Jersey to be delivered tomorrow. BTW, I suspect we will be seeing a lot of Gurley at the StupidBowl. The O line wants to prove something. Both backs, Gurley and FatBack, have big games against the hated Ratriots. Yup, Gurley was quite emotional at game’s end. He knew he did not have a good game, and his team had his back. He had redemption in his eyes…. hummm something we do not see in our Doyers. Like that “Bowling Ball” Anderson. What a pick up. Go Rams! Not the Anaheim Lambs, or St Louis Spams…. “The Los Angeles RAMS”! Shows what can happen in a couple of years, “IF” Management puts their money where their mouth is. Got to “Walk the Walk”, Friedman and Company. I don’t think you will find anyone in the Rams’ management that will describe going to the SB as a great accomplishment. McVay is a hunter, looking for a kill. I’m continually amazed at how well the team’s system maintains given the signing restrictions and late in round position. Dodger Prospects never are good enough to make the big show. FO would rather trade them, than promote them. That’s a good part of their value! Legendary, “Winning” Dodger ballclubs were primarily built from within. Yeah, good to see that tradition being continued. Yet to achieve the Legendary status though.